So Jeremy Corbyn, leader of the Labour Party has said he would not use nuclear weapons? Phew, what a relief. Well that is hardly astounding News, but he is right to point it out nonetheless. It highlights the senselessness of spending resources on Weapons of Mass Destruction which can never, ever be used because it would be a suicidal act. For all those of who believe in humanity, in peace and abhor human suffering, there can be no alternative. Jeremy Corbyn was elected with a huge mandate and has opposed the replacement of Trident. Even former Tory Defence Minister Michael Portillo is opposing Trident’s replacement, claiming it is a waste of money. I wonder, if Mr Cameron will not say he is also unwilling to use them, how can we trust such a man with the future of the human race, the continued existence of life itself? After all, this was the man who went against parliament’s decision to involve our servicemen in attacks on Syria. Please remember that David Cameron ‘was aware’ British pilots carried out Syrian air strikes despite Commons vote, and chose to disregard the democratic decision. Why do these weapons exist at all? Without going blindly into such a replacement wasting our precious resources on such a pointless exercise, it is time to have the debate and look at the facts. It is time to stop, think and call time on weapons of mass destruction. It’s time to educate younger generations about the facts. It’s time to face up to the reality – they offer no deterrent, they cost the earth, no one can use them; they certainly didn’t help the USA on 9/11. It is not good enough to turn away – the images and the facts must be faced up to. We cannot uninvent nuclear missiles, but we can discover why they should not be in existence. I am appalled that there are plans to replace Trident, a nuclear missile which must be never used. No, not my name. It must not happen. Face up to these images, the ones they don’t want us to see: listen to the stories. 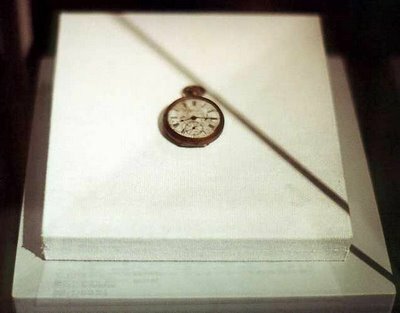 Although the names of Hiroshima and Nagasaki were incised into our memories, there were few pictures to accompany them. Even today, the image in our minds is a mixture of devastated landscapes and shattered buildings. Shocking images of the ruins, but where were the victims? Within a certain distance from the site of explosion, the heat was so intense that practically everything was vaporised. The shadows of the parapets were imprinted on the road surface of the Yorozuyo Bridge, 1/2 of a mile south-southwest of the hypocentre. Besides, in Hiroshima, all that was left of some humans, sitting on stone benches near the centre of explosion, was their outlines. Radiation deaths were still occurring in large numbers in the following days. “For no apparent reason their health began to fail. They lost appetite. Their hair fell out. Bluish spots appeared on their bodies. And then bleeding began from the ears, nose and mouth”. Doctors “gave their patients Vitamin A injections. The results were horrible. The flesh started rotting from the hole caused by the injection of the needle. And in every case the victim died”. 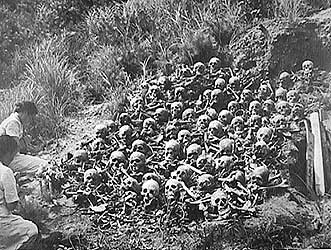 Hibakusha is the term widely used in Japan referring to victims of the atomic bombings of Hiroshima and Nagasaki. The Japanese word translates literally to “explosion-affected people”. Many of them were fired from their jobs. Hibakusha women never got married, as many feared they would give birth to deformed children. Men suffered discrimination too. “Nobody wanted to marry someone who might die in a couple of years”. 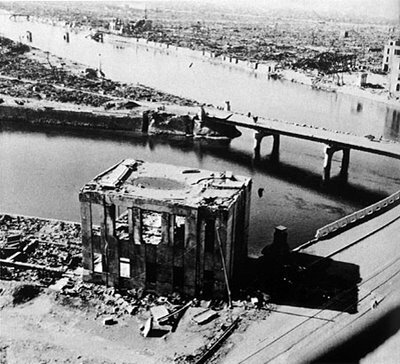 On August 10, 1945, the day after the bombing of Nagasaki Yosuke Yamahata, began to photograph the devastation. The city was dead. He walked through the darkened ruins and the dead corpses for hours. By late afternoon, he had taken his final photographs near a first aid station north of the city. In a single day, he had completed the only extensive photographic record of the immediate aftermath of the atomic bombing of either Hiroshima or Nagasaki. 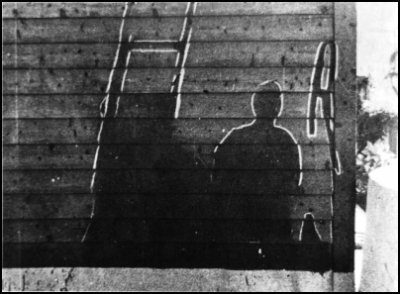 Mr. Yamahata’s photographs are the most complete record of the atomic bombing as seen in the most immediate hours after the bombing. The New York Times has called Mr. Yamahata’s photographs, “some of the most powerful images ever made”. Everyone should see them and understand. Hiding and pretending will not do. Atomic Bomb survivors never forget, and while they inevitably diminish in number , their resolve to fight to rid the world of nuclear missiles grows ever more determined. We cannot help but wonder what is the point and sense in developing more and more horrible weapons, which can never, ever be used, and if they were the consequences of modern weapons would be far worse. They can never be used without a suicidal action. In modern times of suicidal terrorism, suicide itself is no deterrent, the existence of nuclear missiles is not only pointless but an incredible waste of money, resources and human effort which could be much better used elsewhere. Colin Powell: I became Chairman of the Joint chiefs of staff in 1989 and I had 28,000 nuclear weapons under my supervision. And every morning I looked to see where the Russian submarines were off the coast of Virginia and how far away those missions were from Washington. I kept track where the Russian missiles were in Europe and in the Soviet Union. The one thing that I convinced myself after all these years of exposure to the use of nuclear weapons is that they were useless. The pointlessness of it all is clear – the danger of nuclear weapons is such that they should not even exist. That there are stockpiles of radioactive uranium and plutonium around the world is alarming – should these ever get into the hands of maniacs it would surely be an end. The expansion of nuclear power holds the same dangers, and at a time when there are effective renewable sources for energy, why is it even being considered? Who can we trust? Why is David Cameron in favour of supporting a replacement to Trident? Parliament voted against British forces being used in Syria in 2013. Recently, it has transpired that David Cameron lied, and that was against Parliament’s explicit instructions, British Forces were involved in an air campaign. David Cameron was fully aware of the action. We must consider what are the reasons for Cameron’s support for a Trident replacement. Is it financial? Whatever is his reason, it is clearly very, very silly. In January 2015, A Commons motion against renewal of Trident was crushed by 364 votes to 35 after Tory and Labour front benches joined forces to back the weapons of mass destruction. A number of Labour MPs abstained. The motion was moved by the SNP, Plaid Cymru and Green MP Caroline Lucas. Mr Blunt, the only Tory supporting the motion, said he was wearing the regimental tie of the Light Dragoons. He told MPs that when he worked as a special adviser at the Ministry of Defence, he found it impossible to find a scenario in which Britain would decide to use nuclear weapons. The SNP’s manifesto for the 2015 General Election opposed Trident’s renewal. and their landslide on May 7th, winning all but three seats in Scotland demonstrates that there is a huge opposition to this policy. In 2016, there is to be another vote in Parliament on the replacement of Trident. Jeremy Corbyn, and several other MPs will oppose Trident replacement. Even if renewal is rejected, after the Syria vote was totally disregarded, I cannot help but wonder, whether Mr Cameron is taking much notice of parliament at all. What power does he hold over the use of nuclear weapons. It is truly terrifying. If the cost to the planet of nuclear war is obliteration, it seems trivial to even consider the economic implications.The government is in favour of replacing Trident at a cost of around £100 billion. This money would be enough to fully fund A&E services for 40 years, employ 150,000 new nurses, build 1.5 million affordable homes, build 30,000 new primary schools, or cover tuition fees for 4 million students. It is astounding, and extraordinarily costly. So much good could come of savings from the cost of the maintenance and replacement of Trident’s replacement, and the related nuclear energy industry. The nuclear industry is massively subsidised by the British public. Sizewell B, the UK’s most recent power station cost the taxpayer around £3.7billion just to install Decommissioning and cleaning up all of our current nuclear sites is costing more than £70 billion. Many people are employed in the nuclear industry – there is no logic in retaining it on the grounds of employment. Diplomatic solutions to conflict need personnel equipped with necessary skills. We should be developing education, communication and understanding, of issues of other societies, not dividing the world further. We are one people. Jobs could be provided for scientists and experts developing our green energy policy. People must protest against this renewal and demand an end to these weapons. Our politicians must stand alongside us. On this our opposition must oppose. Abstention will not do. There are protests (AWE) demanding disarmament all around the world including in the UK where 4 Day Fast Protest against Trident is planned in London. (August 6th-9th). CND have been campaigning since 1958. There is a host of information on their website. Former Conservative Defence Minister Portillo slams Trident as a waste of money. Trade Unions. They are part of the Labour movement, and we have so much to thank them for. They gave us the weekend, the eight-hour day, and the paid holiday. Now they need our help. Yet again, a Tory Government with an overall majority is trying to crush the unions. They want to be able to use people, as a cheap resource to deliver their wealth. They have no concern for safety, health, dignity or human rights. Think Left’s article ( 114 year workers’ rights scrapped by coalition government) reveals how long-standing workers’ rights are being eroded by the Coalition government. With legal aid cut, high unemployment and rising costs of living, everyone can see people struggling. How many are aware of how poor workers’ rights and protection in the UK really are? It is no doubt politics which preys on disaster politics and fear. Fear and lies. 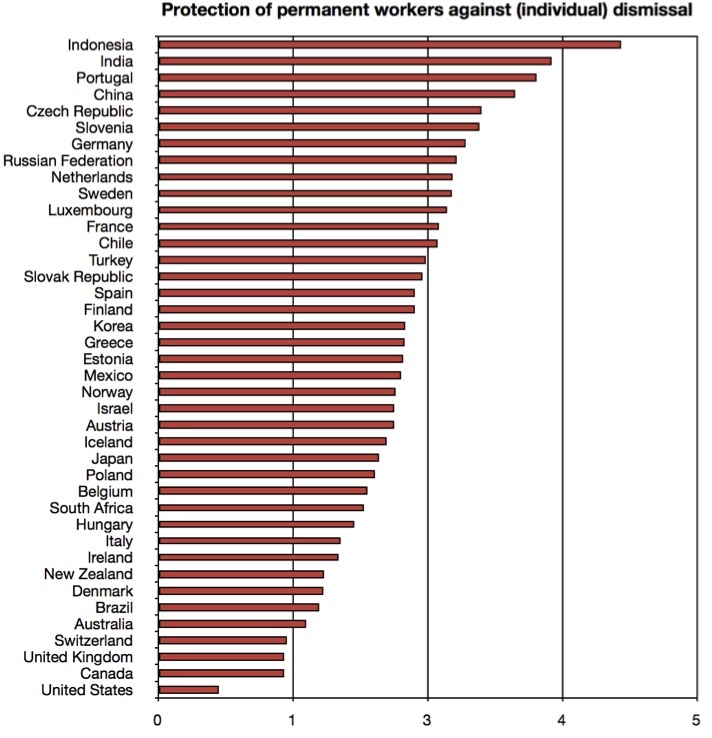 The graph shows that protection of permanent working staff in the UK is appalling. The effect of Thatcher’s attack on trade the unions leading to decreased union membership can be seen in perspective. The power of money over the individual struggling alone is immense. One can see how struggling to feed one’s family puts worker against worker, and provides an opportunity for right-wing parties such as UKIP to move in on the scene. The erroneous lines, “we’re all in it together”, and Cameron’s patronising Keep Calm Dear , while criticised and ridiculed are tolerated by those who believe austerity is necessary, and in the myth of the need to cut structural deficit though several economists argue otherwise. Recent figures show unemployment is on the rise again. Not only is this costly, it is a waste of human resources, has an impact on mental health, and divides working people. Recently, immigration has become an issue, because families are living in poverty, and are unable to get work. Meanwhile, there are cuts to the social security protection because of government austerity measures which gives people no hope. A divided working class is a malleable one. The Tories know that. Tony Benn knew. He said, “People who are poor, demoralised and frightened are easy to control.” This whips up division and hatred like in the thirties. As Jeremy Corbyn said, “They are trying to reconfigure our society in the image of the 30s. I’m not sure if it’s the 1930s or the 1830s but certainly some kind of 30s.” And we know what that led to. The government has just launched its latest salvo attacking our rights at work. The government expects the Second Reading on the Bill will take place in the House-of-Commons either in September of October 2015. The proposals will lead to a serious imbalance of power within the workplace, undermining effective negotiation between employers and unions. The Conservative proposals will undermine constructive employment relations, extending disputes and making it more difficult to achieve amicable settlements. The government is not interested in encouraging workplace democracy. Instead , they want to prevent midwives, fire-fighters, teachers and cleaners working within the Underground from protesting against cuts in jobs, pay and conditions. The right to strike and to protest are fundamental rights which should be protected in a free and democratic society. The government proposals will impose greater restrictions on trade unions than any other voluntary secret membership organisations. The Conservatives claim to be the party of working people. However their proposals will remove employees’ ability to achieve better working conditions and living standards. Employees will be able to bring in agency workers with a view to breaking strikes, regardless of the consequences for health and safety. Trade union protests and pickets will be subject to levels of public and police scrutiny and controls that go far beyond what is fair and acceptable in a modern democracy. These changes will also be a waste of police time. These must be opposed, by protest groups, by trade unions, and also by the Labour Party. Jeremy Corbyn will stand alongside workers and supports Trade Unions. 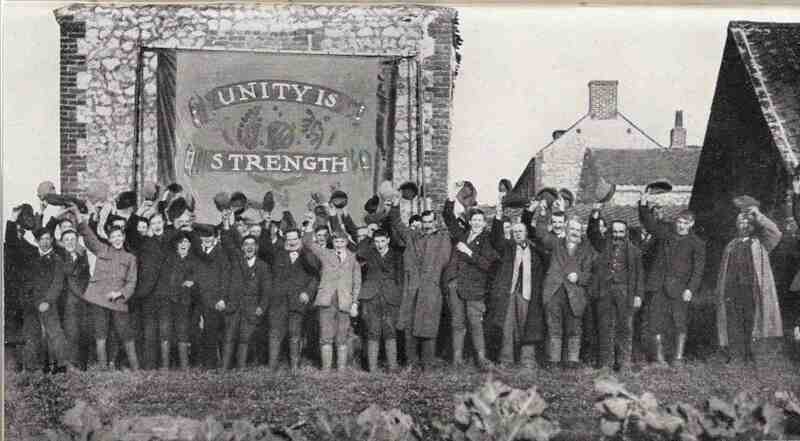 Unity is our watchword, within the Labour Party, and within the Movement. We need a strong opposition in parliament. It is not acceptable that MPs representing the heart of the Labour Movement are not wholly behind the defence of these fundamental rights. Following this leadership campaign, it is imperative that the Labour Party and the whole Labour movement are united in opposition. We need to be ready to oppose, because you can be absolutely certain that the Tories will be and they do not need any further advantage than they already have. Unity is our watchword. There are more of us, but we will only be heard by a cohesive opposition led by a strong leader, such as Jeremy Corbyn. The government is trying to make it even harder for unions to collect fees from its members by banning public authorities from deducting fees-direct payslips. It’s designed to cut off yet more money from trade unions and hobble their ability to defend ordinary workers from bully boy employers. It’s vitally important to show we will defend our trade unions from these government attacks. They’ve given us everything from the weekend to paid maternity leave. If they are hobbled by ideologically driven laws then bad employers across the country will be able to chip away at our hard-won rights. “Sum of Us Campaign” is already nearly 80,000 people strong. Their campaign contact is listed below. Our trade unions are worth defending. They protect ordinary workers — care workers, teachers, nurses, shop workers, cleaners — from poor conditions, low pay and unfair dismissal. But now they need our help. Share information, protest, and ensure that this time the government are countered by a strong, united opposition. Nuclear Weapons are Horrific, Pointless and Extraordinarily Costly : So, Ban Them.